Institutional economics, known by some as institutionalist political economy, focuses on understanding the role of human-made institutions in shaping economic behavior. In the early twentieth century, it was the main school of economics in the United States, including such famous but diverse economists as Thorstein Veblen, Wesley Mitchell, and John R. Commons. Institutional economics is concerned with the social systems, or "institutions," that constrain the use and exchange of resources (goods and services) and their consequences for economic performance. Thus, for example, the study of law and economics became significant theme since Commons' publication of the Legal Foundation of Capitalism in 1924. Also, following Veblen's critical view of materialistic culture and the tendency of businesses toward production for pure profit rather than to satisfy consumers' needs, institutional economists were typically critical of American social, financial, and business institutions. Behavioral economics is another hallmark of institutional economics. This is based on what is known about psychology and cognitive science, rather than simple assumptions of economic behavior based on economic factors alone. Economic activities take place in the context of the restraints of society, both formal and informal, that encourage and limit the activities of those agents. Institutional economics takes into account these restraints that institutions lay on members of society, and thus hopes to better understand the economic activities that take place therein and in so doing to benefit society. Mainstream economics, as found in the journals, the textbooks, and in the courses taught in economics departments, has become more and more abstract over time, and although it purports otherwise, in fact it is often little concerned with what happens in the real world. Harold Demsetz (1988) has given an explanation of why this has happened: Economists since Adam Smith have devoted themselves to formalizing his doctrine of the "invisible hand," the coordination of the economic system by the pricing system. It has been an impressive achievement. However, it has flaws. Adam Smith also pointed out that we should be concerned with the flow of real goods and services over time—and with what determines their variety and magnitude. Economists have studied how supply and demand determine prices but not with the factors that determine which goods and services are traded on markets and therefore are priced. The result unfortunately is that "economists think of themselves as having a box of tools but no subject matter" (Coase 1998). Adam Smith explained that the productivity of the economic system depends on specialization (or division of labor), but specialization is only possible if there is exchange—and the lower the costs of exchange (transaction costs), the more specialization there will be and the greater the productivity of the system. These transaction costs include the negotiations and drawing up of contracts, inspections of products and their methods of production, agreements on the settling of disputes, and so forth (Coase 1991). These costs are not determined by the individuals who do the buying and selling of goods and services but rather by the institutions of the environment in which the transactions take place. Institutions form the incentive structure of a society and the political and economic institutions, in consequence, are the underlying determinant of economic performance (North 1993). Institutional economics is concerned with these systems that constrain the exchange of resources and the resulting impact on economic phenomena. Institutions essentially govern the performance of an economy, and it is this that gives institutional economics its importance for current and future economists (Coase 1998). David Hume (1888) found the unity of the three social sciences (economics, jurisprudence, and ethics) in the principle of scarcity and the resulting conflict of interests, as opposed to Adam Smith who isolated economics from the others on assumptions of divine providence, earthly abundance, and the resulting harmony of interests. Institutional economics takes its cue from Hume. Business ethics deals with the rules of conduct arising from conflict of interests, arising, in turn, from scarcity and enforced by the moral sanctions of collective opinion; but economics deals with the same rules of conduct enforced by the collective economic sanctions of profit or loss in case of obedience or disobedience, while jurisprudence deals with the same rules enforced by the organized sanctions of violence. Institutional economics deals with the relative merits and efficiency of these three types of sanctions. Institutional economics is concerned with the social systems, or institutions, that constrain the use and exchange of resources (goods and services) and their consequences for economic performance. Institutions are the humanly devised constraints that structure human interaction. They are made up of formal constraints (rules, laws, constitutions), informal constraints (norms of behavior, conventions, and self imposed codes of conduct), and their enforcement characteristics. Together they define the incentive structure of societies and specifically economies. Institutions and the technology employed determine the transaction and transformation costs that add up to the costs of production (North 1993). The institutions studied by institutional economists may thus be defined as "collective action in control, liberation and expansion of individual action" (Commons 1931: 648-649). Collective action ranges all the way from unorganized custom to the many organized going concerns, such as the family, the corporation, the trade association, the trade union, the reserve system, the state. The principle common to all of them is greater or less control, liberation and expansion of individual action by collective action (Commons 1931: 650). Either the state, or a corporation, or a cartel, or a holding company, or a co-operative association, or a trade union, or an employers' association, or a trade association, or a joint trade agreement of two associations, or a stock exchange, or a board of trade, may lay down and enforce the rules which determine for individuals this bundle of correlative and reciprocal economic relationships. Indeed, these collective acts of economic organizations are at times more powerful than the collective action of the political concern, the state (Commons 1931: 650). An institution is "collective action in control, liberation and expansion of individual action" (Commons 1931: 651). Analysis of these collective sanctions provides the correlation of economics, jurisprudence, and ethics which is prerequisite to a theory of institutional economics. Transactions intervene between the labor of the classical economists and the pleasures of the hedonic economists, simply because it is society that controls access to the forces of nature, and transactions are, not the "exchange of commodities," but the alienation and acquisition, between individuals, of the rights of property and liberty created by society, which must therefore be negotiated between the parties concerned before labor can produce, or consumers can consume, or commodities be physically exchanged (Commons 1931: 654). The participants in each of them are controlled and liberated by the working rules of the particular type of moral, economic, or political concern in question. It is because of these volitional auxiliary verbs that the familiar term "working rules" is appropriate to indicate the universal principle of cause, effect or purpose, common to all collective action. The habitual assumption behind the decisions in the bargaining transaction is the assumption of equality of willing buyers and willing sellers in the bargaining transactions by which the ownership of wealth is transferred by operation of law. Here the universal principle is scarcity. However, the assumption behind "managerial transactions," by which the wealth itself is produced, is that of superior and inferior. Here the universal principle is efficiency, and the relation is between two parties, instead of the four parties of the bargaining transaction. The master, or manager, or foreman, or other executive, gives orders—the servant or workman or other subordinate must obey. Yet a change in working rules, in course of time, as modified by the new collective action of court decisions, may distinguish between reasonable and unreasonable commands, willing, and unwilling obedience. The choice may be voluntary, or it may be an involuntary choice imposed by another individual or by collective action. In any case the choice is the whole mind and body in action—that is, the will—whether it the physical action and reaction with nature's forces, or the economic activity of mutually inducing others in the transaction (Commons 1931: 657). If institutional economics is behavioralism, it requires an institutional psychology to accompany it. This is the psychology of transactions, which may properly be named "negotiational psychology." Nearly all historical psychologies are individualistic, since they are concerned with the relationship of individuals to nature, or to other individuals treated, however, not as citizens with rights, but as objects of nature. This holds true from the philosophies of the British empiricist and associationist schools, such as John Locke's An Essay Concerning Human Understanding (1689), George Berkeley's Treatise Concerning the Principles of Human Knowledge (1710), and David Hume's A Treatise of Human Nature (1739-1740), to William James' pragmatism, John B. Watson's behaviorism, Gestalt psychology, and Amos Tversky-Daniel Kahneman’s irrational behavioral theory. All are individualistic. But the psychology of transactions is the psychology of negotiations. Each participant is endeavoring to influence the other towards performance, forbearance or avoidance. Each modifies the behavior of the other in greater or less degree (Commons 1931: 653). 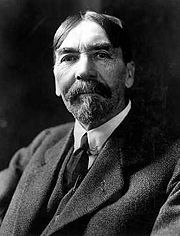 Thorstein Veblen (1857-1929) was born in rural mid-western America, a child of Norwegian immigrants. A sociologist and economist he was co-founder, along with John R. Commons, of the Institutional economics movement. Veblen's work replaced the more static concept of people as the makers of economic decisions based on individual needs the "evolutionary" idea that people's desires and the means to achieve them are constantly affected by changes in the culture. He regarded the struggle in society not in Marxist terms as between social classes, but between business enterprise, which he believed was carried on for the amassing of money rather than the production of goods, and industry, whose goal is technological innovation. He wrote his first and most influential book, The Theory of the Leisure Class (1899), while he was at the University of Chicago. In it he criticized materialistic culture and wealthy people who conspicuously consumed their riches as a way of demonstrating success. Conspicuous leisure was another focus of Veblen's critique. In The Theory of Business Enterprise (1904) Veblen distinguished production for people to use things and production for pure profit, arguing that the former is often hindered because businesses pursue the latter. Output and technological advance are restricted by business practices and the creation of monopolies. Businesses protect their existing capital investments and employ excessive credit, leading to depressions and increasing military expenditure and war through business control of political power. Veblen warned of problems he saw inherent in the excesses of "the American way"—the tendency for wasteful consumption—although he stopped short of advocating an alternative. However, his work laid the foundation for the school of institutional economics. John R. Commons (1862-1945) also came from mid-Western America. Underlying his ideas, consolidated in Institutional Economics (1934) was the concept that the economy is a web of relationships between people with diverging interests. Commons is well known for developing an analysis of collective action by the state and other institutions, which he saw as essential to understanding economics. There are monopolies, large corporations, labor, and fluctuating business cycles, all of which lead to conflicts among those involved. Government, thought Commons, ought to be the mediator between the conflicting groups. Commons himself devoted much of his time to advisory and mediation work on government boards and industrial commissions. Wesley Clair Mitchell (1874-1948), was an American economist born in Rushville, Illinois. His major treatise, Business Cycles (1913), represents a pioneering effort to provide an "analytic description" of the pervasive and recurrent but also complex and changing fluctuations that are observed in the modern, highly developed, and interdependent "money economies." He developed—from inductive generalities, gained from empirical research—a concept of the business cycle as a self-generating process whose continuity and diffusiveness are due mainly to institutional responses of the economic system to a variety of unpredictable changes. Mitchell was the leading figure of the large number of institutionalist faculty and students at Columbia in the 1920s and 1930s and was one of the founders of the New School for Social Research, where he taught for a time between 1919 and 1922. He was the leader of the National Bureau of Economic Research, which was seen as the main home of scientific empirical research in economics and was clearly institutionalist. His books were among the major examples of the institutionalist paradigm. 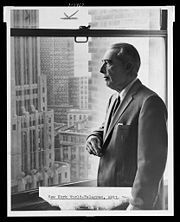 Adolf Berle (1895-1971) was one of the first authors to combine legal and economic analysis, and his work stands as a founding pillar of thought in modern corporate governance. Like Keynes, Berle was at the Paris Peace Conference, 1919, but subsequently resigned from his diplomatic job dissatisfied with the Versailles Treaty terms. In his book with Gardiner C. Means, The Modern Corporation and Private Property (1932), he detailed the evolution in the contemporary economy of big business, and argued that those who controlled big firms should be better held to account. Stockholders toil not, neither do they spin, to earn [dividends and share price increases]. They are beneficiaries by position only. Justification for their inheritance… can be founded only upon social grounds… that justification turns on the distribution as well as the existence of wealth. Its force exists only in direct ratio to the number of individuals who hold such wealth. Justification for the stockholder's existence thus depends on increasing distribution within the American population. Ideally the stockholder's position will be impregnable only when every American family has its fragment of that position and of the wealth by which the opportunity to develop individuality becomes fully actualized (Berle 1967: xxiii). 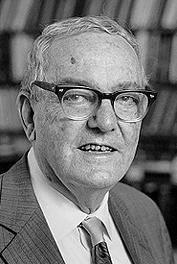 Herbert Alexander Simon (1916–2001) was an American political scientist and polymath, whose research ranged across the fields of cognitive psychology, computer science, public administration, economics, management, philosophy of science, and sociology, and was a professor, most notably, at Carnegie Mellon University. With almost a thousand, often very highly cited, publications he is one of the most influential social scientists of the twentieth century. 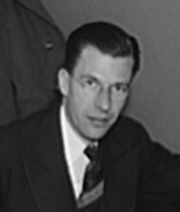 John Kenneth Galbraith (1908-2006) although he wrote later, and was more developed than the earlier institutional economists, was critical of orthodox economics throughout the late twentieth century. In The Affluent Society (1958), Galbraith argued that voters reaching a certain level of material wealth begin to vote against the common good. He coined (or at least popularized) the term "conventional wisdom" to refer to the orthodox ideas that underpin the resulting conservative consensus (Galbraith 1958). In The New Industrial State Galbraith argued that economic decisions are planned by a private bureaucracy, a technostructure of experts who manipulate marketing and public relations channels. This hierarchy is self serving, profits are no longer the prime motivator, and even managers are not in control. Because they are the new planners, corporations detest risk and require steady economic and stable markets. They recruit governments to serve their interests with fiscal and monetary policy, for instance, adhering to monetarist policies which enrich money-lenders in the City through increases in interest rates. While the goals of an affluent society and complicit government serving the irrational technostructure are met, public space is simultaneously impoverished. Thus, Galbraith, in Economics and the Public Purpose (1973), advocated nationalizing military production and public services, such as health care, and introducing disciplined salary and price controls to reduce inequality, as the solution. Although the popularity of institutional economics waned, particularly after the Keynesian revolution, a resurgence of interest in some aspects of the approach occurred in the latter part of the twentieth century. With the development of theories of asymmetric and distributed information an attempt was made to integrate institutionalism into mainstream neoclassical economics, under the title of "New Institutional Economics" (NIE). This new institutional economics can be thought of as being the outcome of the Chicago School's "economic imperialism," namely using neoclassical economics to explain areas of human society normally considered outside the purview of economic theory. NIE attempted to extend economics by focusing on the social and legal norms and rules that underlie economic activity. However, using Neoclassical economics to explain areas of human society normally considered outside them, NIE eventually failed to avoid criticisms of reductionism and lack of realism: The same criticism that was leveled at neoclassical economics for effectively ignoring institutions. NIE has its roots in Ronald Coase's fundamental insights about the critical role of institutional frameworks and transaction costs for economic performance. Thus, initially, NIE analyses took into account: organizational arrangements, transaction costs, credible commitments, modes of governance, persuasive abilities, social norms, ideological values, decisive perceptions, gained control, enforcement mechanism, asset specificity, human assets, social capital, asymmetric information, strategic behavior, bounded rationality, opportunism, adverse selection, moral hazard, contractual safeguards, surrounding uncertainty, monitoring costs, incentives to collude, hierarchical structures, bargaining strength, and such. However, later on NIE departed from both mainstream Neoclassical economics and "old" institutional economics. NIE economists reversed the attempt by “old” institutional economists to use history and the study of institutions to explain economic behavior, instead using neoclassical economics to explain history, social relations, and the formation of institutions. Neoclassical economics preferred a general approach (a metatheory) to economics that was based on supply and demand. This, in turn, depended on individuals (or any economic agent) operating rationally, each seeking to maximize their individual utility or profit by making choices based on available information (North 1990). Thus, the new institutional economics, by avoiding issues accompanying Coase's approach, was an attempt to reduce institutions to "rational" and "efficient" agents whereby resolutions to the problem of transaction costs would not arise. The institutional economists Thorstein Veblen, John Kenneth Galbraith, Herbert Simon, and virtually all others have argued that, even though perfect knowledge of economic niveau may never exists, people, in economic transactions, behave rationally, albeit with "bounded rationality." Speaking of bounded rationality as one of the given "axioms" of modern economic theory, the closest to the actual realm of institutional (and "classical") economics—as it is hinted in both Coase and Commons, who stressed its behavioral element—must have been the empirical research of Amos Tversky and the "school" of other behavioral psychologists and economists in the second half of twentieth century that he, involuntarily, created. Tversky was a cognitive and mathematical psychologist, a pioneer of cognitive science, a longtime collaborator of a Nobel Prize winner Daniel Kahneman, and a key figure in the discovery of systematic human cognitive bias and handling of risk. His early work focused on the psychology of prediction and probability judgment. Later, Tversky and Kahneman originated prospect theory to explain irrational human economic choices. Empirical studies by these "behavioralists" questioned the assumption that investors are rational. Their results revealed large deviations from conventionally-defined "economic (bounded) rationality," such that the only conclusion we are left with is that the so-called Homo economicus is completely irrational in his decision making, no matter how much information he has up his "sleeve." In 1995, they demonstrated the tendency of investors to make risk-averse choices in gains, and risk-seeking choices in losses (Tversky 1995). The investors appeared as very risk-averse for small losses but indifferent for a small chance of a very large loss. This violates economic rationality as usually understood. It is quite possible that had Tversky lived longer his school would almost certainly become stronger and more influential, and hence the whole science of economics, and particularly that of institutional economics, could have drastically changed. His "Law of Irrational Investor," and other, never published works, could have made drastic changes in the "state vs. banking system environment" legal niveau, long before the dawn of the twenty-first century, and may have, equally possibly, averted the global economic crisis of its first decade. The need for a shakeup in economics is demonstrated, so far as I am concerned, by its static character. It is still the subject that Adam Smith created. … The static character of economics can be made crystal clear by comparing economics and biology. Economists take pride in the fact that Darwin was influenced by Malthus—and he was influenced also, as I learned from Stephen Jay Gould, by Adam Smith. But contrast what has happened in biology since Darwin with what has happened in economics since Adam Smith or Malthus. Biology has been transformed. … Biologists have not rejected Darwin—evolution is still the core of the subject—but they look at biological processes in a completely different way. Similarly, I am not rejecting Adam Smith. We should not abandon his great insights. But I do advocate changes that will ultimately transform economics from a "soft" science into a "hard" science and in bringing this about I expect our Society to play a major role (Coase 1999). For, indeed, economic phenomena do not consist of agents—individual or in groups, more or less rational—acting in a vacuum. Economic activities take place in the context of the restraints of society, both formal and informal, that encourage and limit the activities of those agents. Institutional economics takes into account these restraints that institutions lay on members of society, and thus hopes to better understand the economic activities that take place therein. Berle, Adolf, and Gardner Means. 1967. The Modern Corporation and Private Property. New York, NY: Harcourt, Brace and World. ISBN 0887388876. Bromley, Daniel W. 2006. Sufficient Reason: Volitional Pragmatism and the Meaning of Economic Institutions. Princeton, NJ: Princeton University Press. ISBN 978-0691124193. Chang, Ha-Joon. 2002. Globalization, Economic Development and the Role of the State, Zed Books. ISBN 1842771434. Cheung, Steven N. S. 1970. The Structure of a Contract & the Theory of a Non-Exclusive Resource. Journal of Law and Economics 13:49-70. Coase, Ronald. 1991. The Institutional Structure of Production Lecture to the memory of Alfred Nobel. The Nobel Foundation. Retrieved November 13, 2008. Coase, Ronald. 1998. The New Institutional Economics. The American Economic Review 88(2): 72-74. Coase, Ronald. 1999. The Task of the Society. Opening Address to the Annual Conference, International Society of New Institutional Economics, Washington, DC. Retrieved November 15, 2008. Commons, John. 1931. Institutional Economics. American Economic Review 21: 648-657. Retrieved November 14, 2008. Davis, John, B. 2007. Why Is Economics Not Yet a Pluralistic Science? Post-autistic Economics Review 43: 43-51. Galbraith, John Kenneth. 1973. Power and the useful economist. American Economic Review 63: 1-11. Hume, David. 2008. A Treatise of Human Nature. NuVision Publications. ISBN 978-1595477279. North, Douglass C. 1990. Institutions, Institutional Change and Economic Performance. Cambridge University Press. ISBN 0521397340. North, Douglass C. 1993. Economic Performance through Time. Lecture to the memory of Alfred Nobel. The Nobel Foundation. Retrieved November 14, 2008. Samuels, Warren. 1987. Institutional Economics. In Murray Milgate, Peter Newman, and John Eatwell, eds. The New Palgrave: A Dictionary of Economics, Vol. 2. MacMillan. Schmid, A. Allan. 2004. Conflict and Cooperation: Institutional and Behavioral Economics. Blackwell. ISBN 978-1405113564. Tversky, Amos, and Craig R. Fox. 1995. Ambiguity Aversion and Comparative Ignorance. Quarterly Journal of Economics 110(3): 585–603. Veblen, Thorstein. 1898. Why is Economics Not an Evolutionary Science? The Quarterly Journal of Economics 12. Retrieved November 14, 2008. Veblen, Thorstein. 1898-1899. The Beginning of Ownership. American Journal of Sociology 4. Retrieved November 14, 2008. Veblen, Thorstein. 2006. The Instinct of Workmanship and the State of the Industrial Arts. New York, NY: Cosimo Classics. ISBN 978-1596058934. This page was last modified on 3 March 2018, at 21:49.